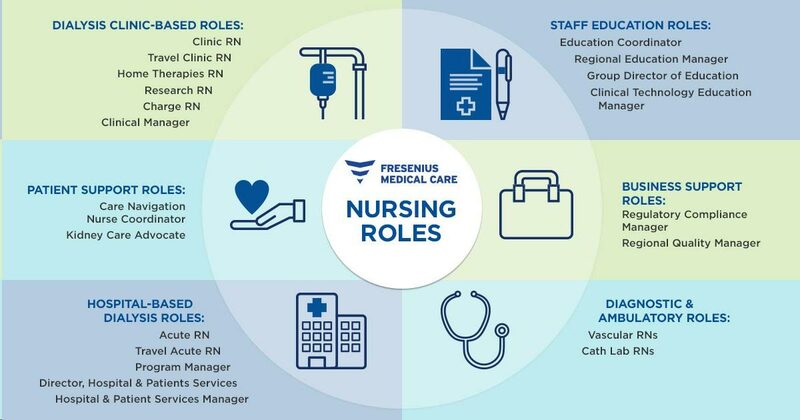 Through the dedication of nurses in our dialysis clinics, Fresenius Medical Care North America has established itself as a leader in renal care, making an impact on the lives of our patients and their families. Did you know that in addition to our clinic nurses, we have more than 20 unique kinds of nursing roles in patient support, staff education, business support and more? Check out our infographic that details the unique nursing opportunities we offer at FMCNA, and find your fit with us. Interested in joining the FMCNA team? Review our nurse openings and discover the role that’s right for you.